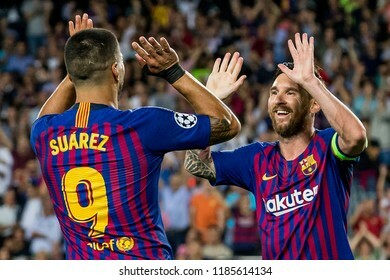 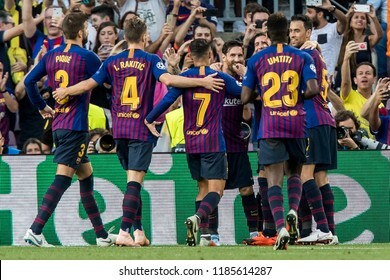 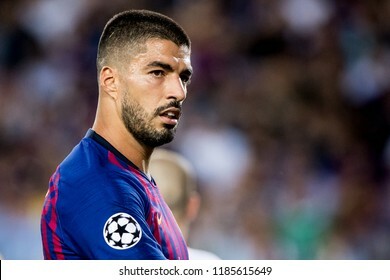 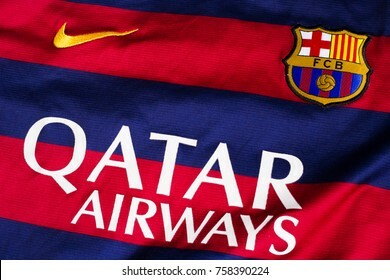 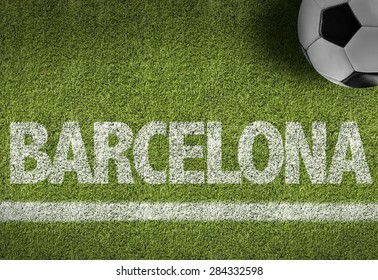 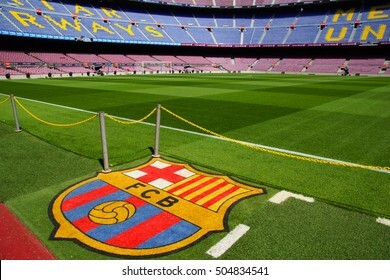 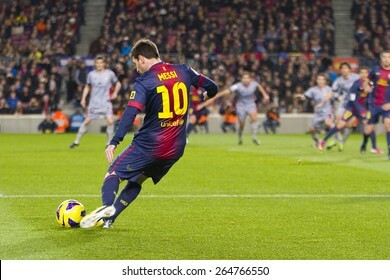 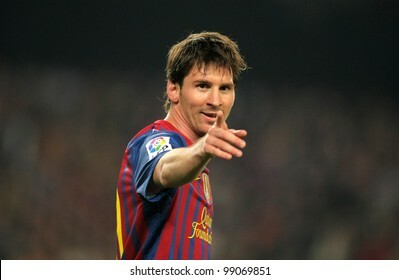 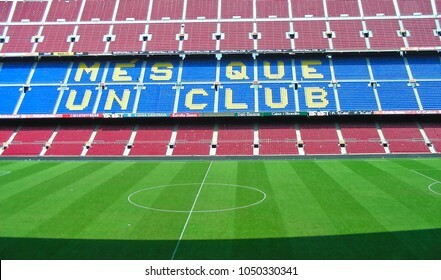 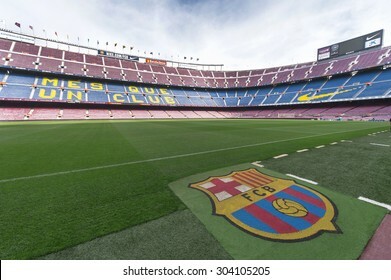 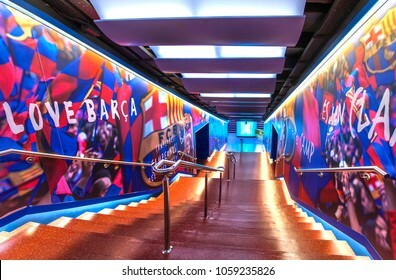 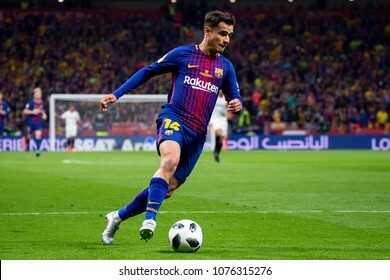 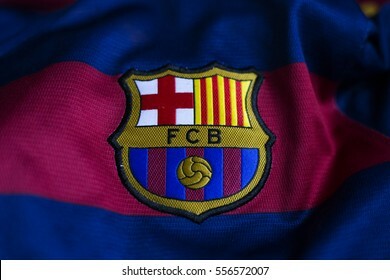 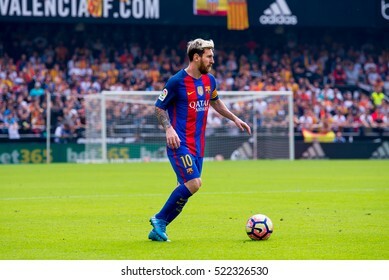 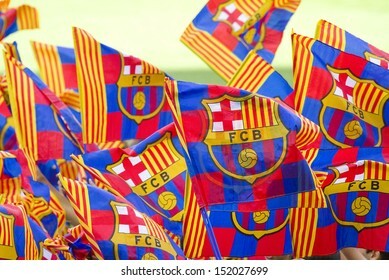 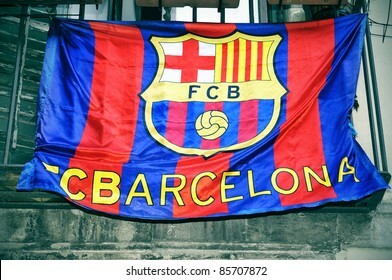 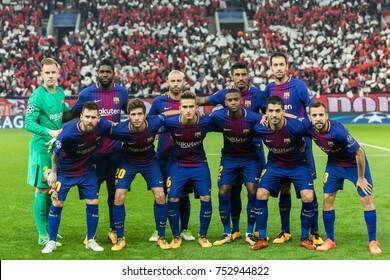 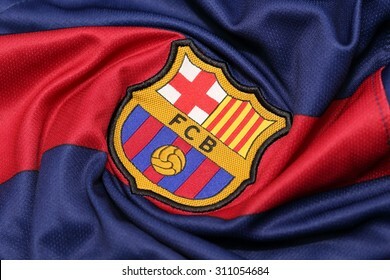 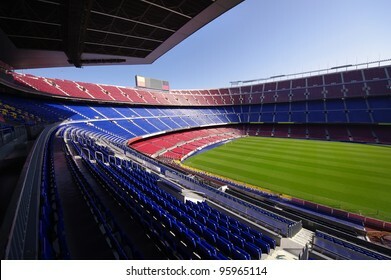 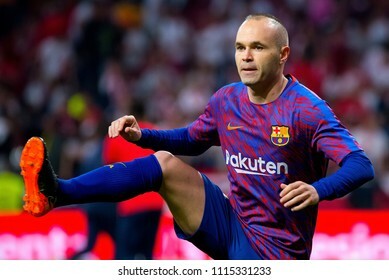 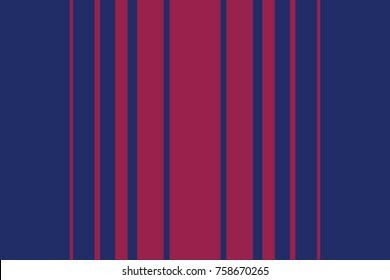 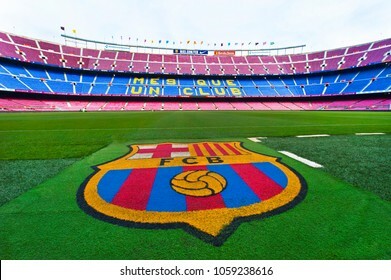 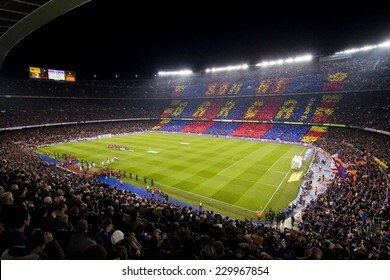 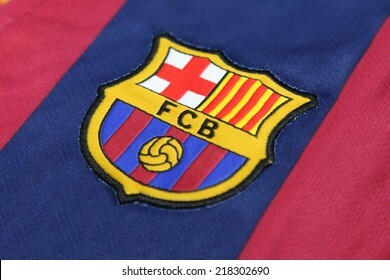 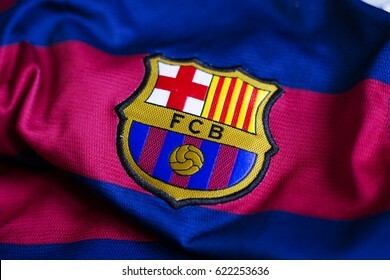 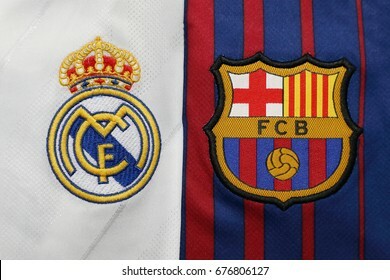 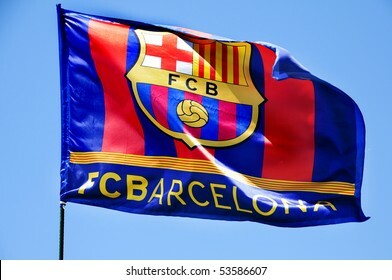 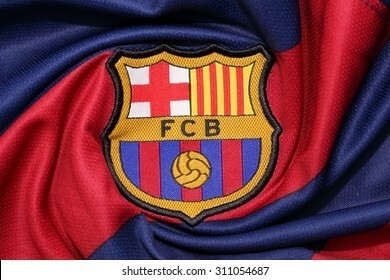 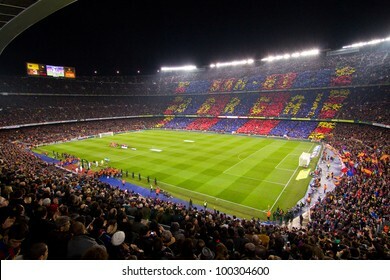 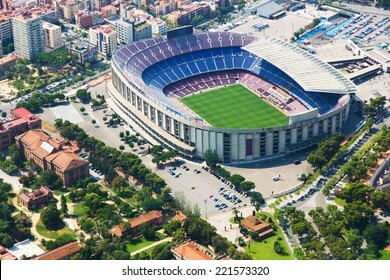 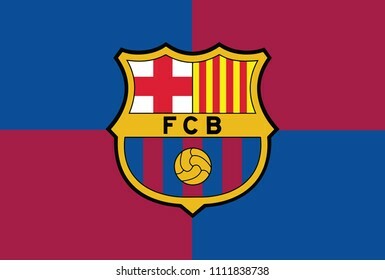 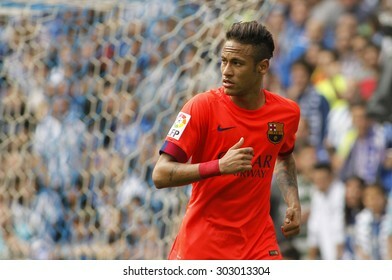 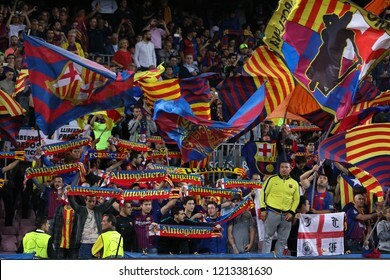 13.349fc barcelona stockfoto‘s, vectoren en illustraties zijn rechtenvrij beschikbaar. 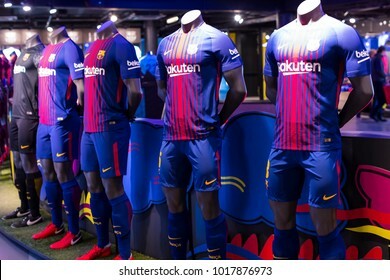 BANGKOK, THAILAND -AUGUST 30, 2015: the logo of Barcelona football club on an official jersey on August 30, 2015 in Bangkok Thailand. 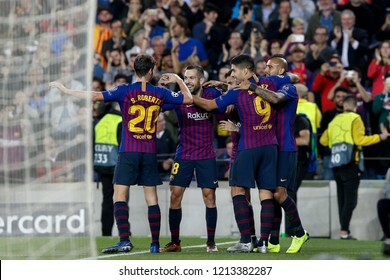 VALENCIA, SPAIN - OCT 22: Barcelona players celebrate a goal at the La Liga match between Valencia CF and FC Barcelona at Mestalla on October 22, 2016 in Valencia, Spain. 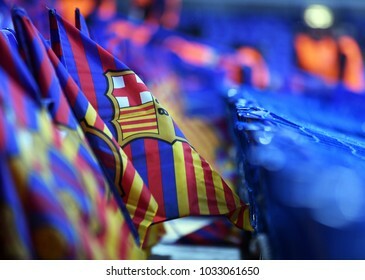 LONDON, UK - FEBRUARY 20, 2018: Barcelona flags pictured prior to the UEFA Champions League last 16 round match between Chelsea FC and FC Barcelona at Stamford Bridge. 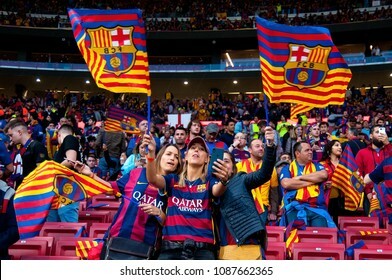 BARCELONA - JUNE 3: Unidentified supporters during Brazilian footballer Neymar Da Silva Santos Junior official presentation as new FC Barcelona player, on June 3, 2013, in Barcelona, Spain. 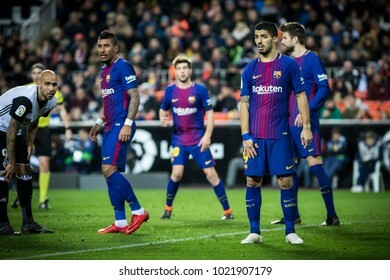 ZAGREB, CROATIA - JANUARY 15, 2017. 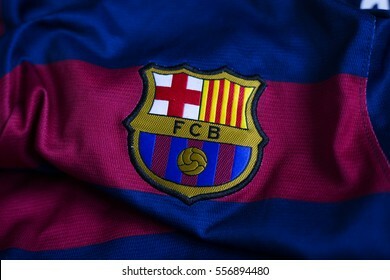 - FC Barcelona, spanish football club, emblem on FC Barcelona jersey. 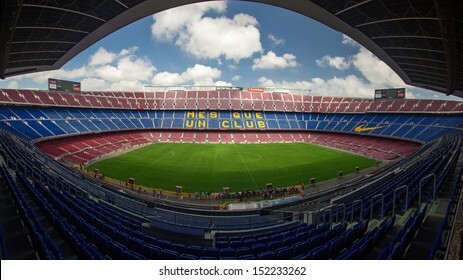 BARCELONA - JANUARY 25: Panoramic view of Camp Nou stadium before the Spanish Cup match between FC Barcelona and Real Madrid, 2 - 2, on January 25, 2012, in Barcelona, Spain. 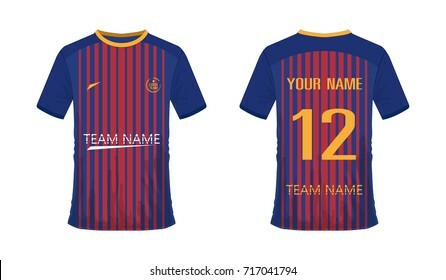 T-shirt soccer or football template for team club on white background. 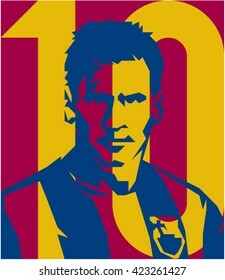 Jersey sport, vector illustration eps 10. 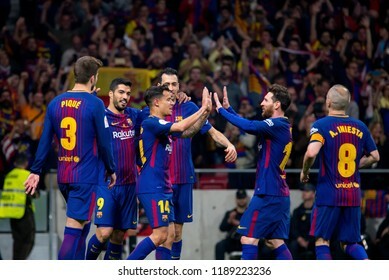 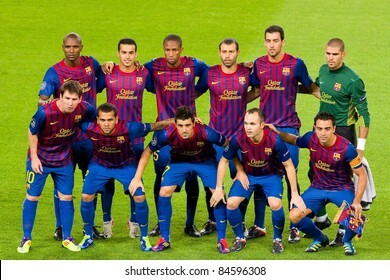 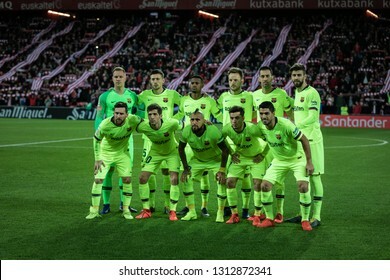 Line up FC Barcelona during the Spanish Cup (King's cup), first leg semi-final match between FC Barcelona and Real Madrid at Camp Nou stadium on February 6, 2019 in Barcelona, Spain. 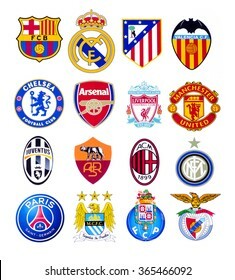 KIEV, UKRAINE - SEPTEMBER 22, 2015: European football clubs logo printed on paper. 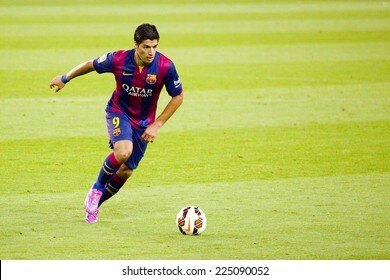 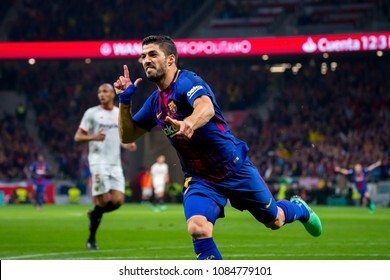 BARCELONA, SPAIN - AUGUST 18: Luis Suarez of FCB in action at Gamper friendly match between FC Barcelona and Club Leon FC, final score 6-0, on August 18, 2014, in Camp Nou, Barcelona, Spain. 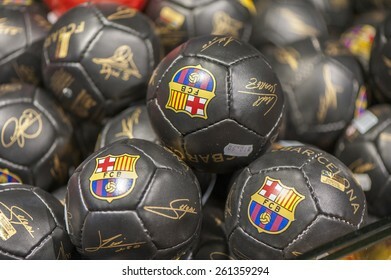 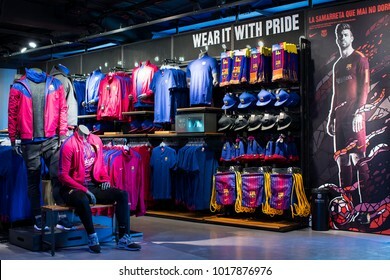 BARCELONA, SPAIN - 12 JANUARY 2018: Official Store FC Barcelona , clothing and footwear team of souvenirs and paraphernalia for fans of the team and visitors of the stadium. 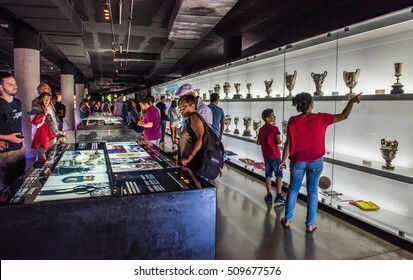 BARCELONA, SPAIN - MAY 28, 2016: FC Barcelona Museum in Camp Nou Studium. 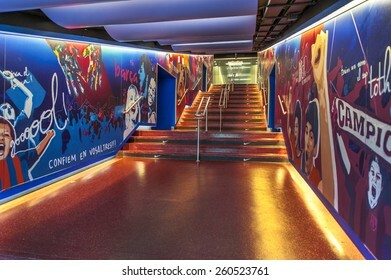 The museum occupies 3,500 square meters and attracts 1.2 million visitors a year. 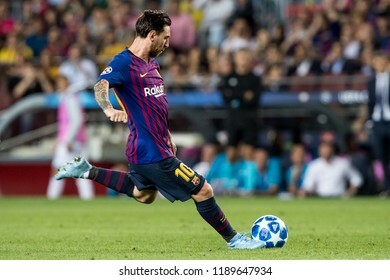 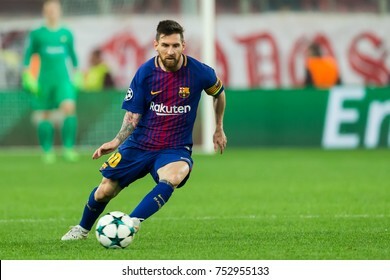 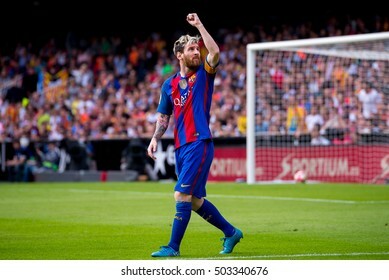 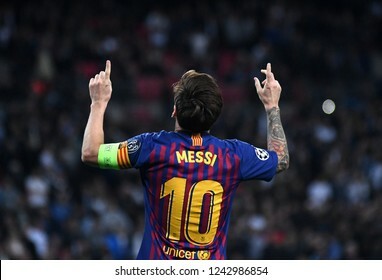 LONDON, ENGLAND - OCTOBER 3, 2018: Lionel Messi celebrates after a goal score during the 2018/19 UCL Group B game between Tottenham Hotspur and FC Barcelona at Wembley Stadium. 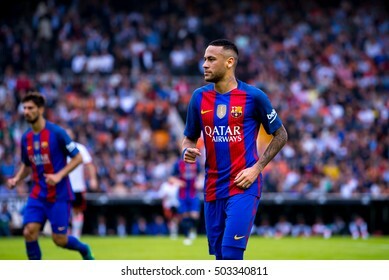 VALENCIA, SPAIN - OCT 22: Neymar plays at the La Liga match between Valencia CF and FC Barcelona at Mestalla on October 22, 2016 in Valencia, Spain. 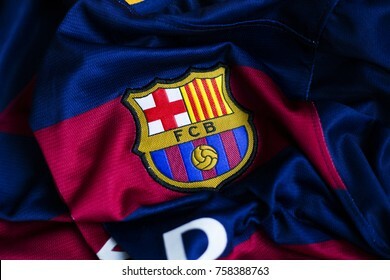 BANGKOK, THAILAND -SEPTEMBER 19, 2014: the logo of Barcelona football club on an official jersey on 19 September 2014 in Bangkok Thailand. 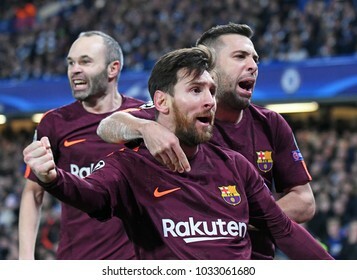 ZAGREB, CROATIA - NOVEMBER 20, 2017. 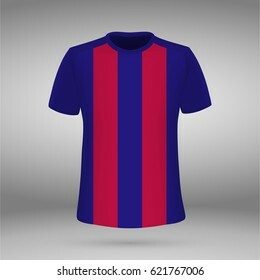 - Spanish football club FC Barcelona on jersey. 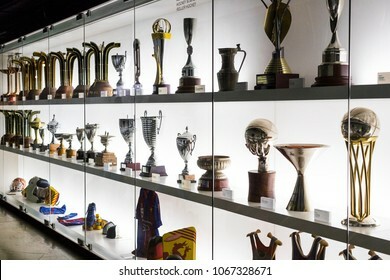 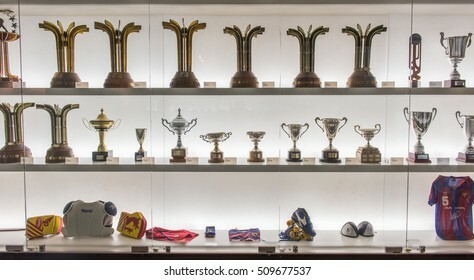 BARCELONA, SPAIN - 12 JANUARY 2018: The museum of trophies of the cups and awards of the team FC Barcelona in the of Camp Nou. 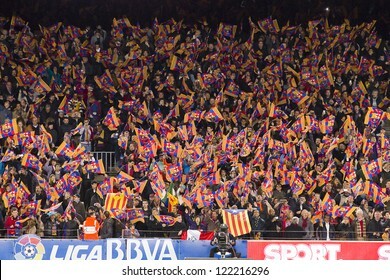 BARCELONA - DECEMBER 16: Unidentified supporters at the Spanish League match between FC Barcelona and Atletico de Madrid, final score 4 - 1, on December 16, 2012, in Camp Nou, Barcelona, Spain. 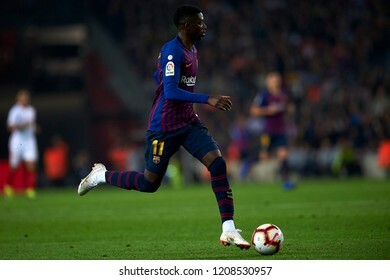 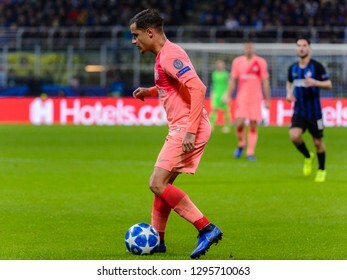 Ousmane Dembele in action during the week 9 of La Liga match between FC Barcelona and Sevilla FC at Camp Nou Stadium in Barcelona, Spain on October 20, 2018. 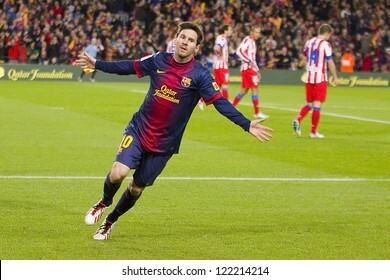 VELIKA GORICA, CROATIA - APRIL 01, 2018. 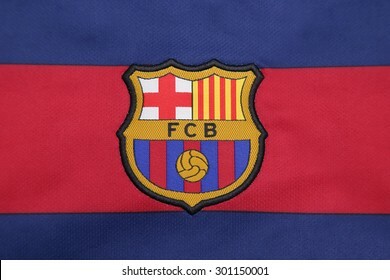 - Spanish football club FC Barcelona emblem on jersey. 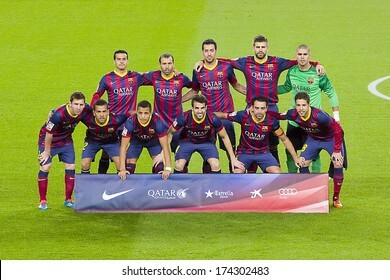 BARCELONA, SPAIN - AUGUST 18: FCB players posing for photos at Gamper friendly match between FC Barcelona and Club Leon FC, final score 6-0, on August 18, 2014, in Camp Nou, Barcelona, Spain. 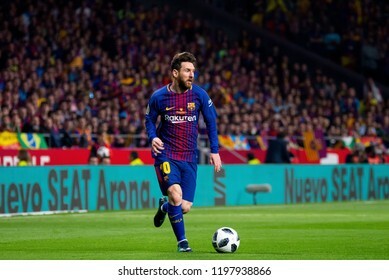 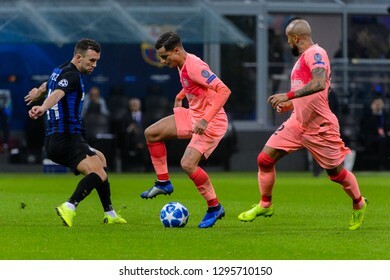 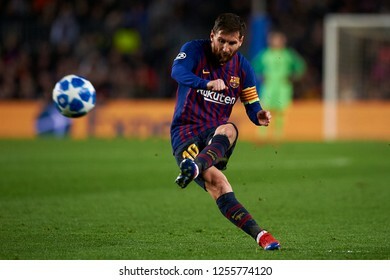 LONDON, UK - FEBRUARY 20, 2018: Lionel Messi pictured during the first leg of the UEFA Champions League last 16 round match between Chelsea FC and FC Barcelona at Stamford Bridge. 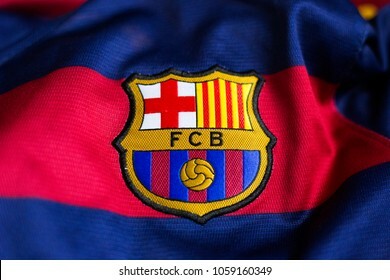 BANGKOK, THAILAND -JULY 30, 2015: the logo of Barcelona football club on an official jersey on July 30, 2015 in Bangkok Thailand. 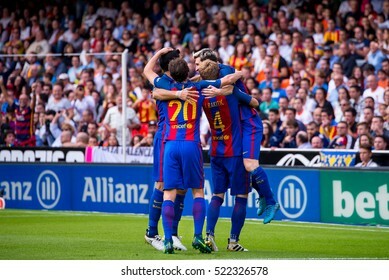 BARCELONA - AUGUST 17: Players celebrating the goal of Leo Messi (min. 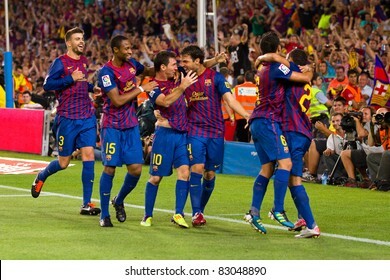 88) during the Spanish Supercup final match between FC Barcelona and Real Madrid, 3 - 2, on August 17, 2011 in Barcelona, Spain. 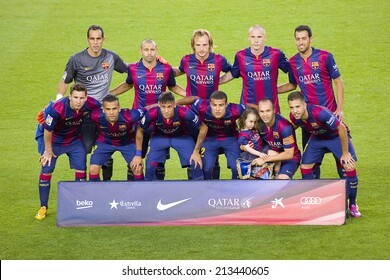 BARCELONA - SEPTEMBER 13: Barcelona players before the Champions League match between FC Barcelona and AC Milan, final score 2 - 2, on September 13, 2011, in Camp Nou stadium, Barcelona, Spain. 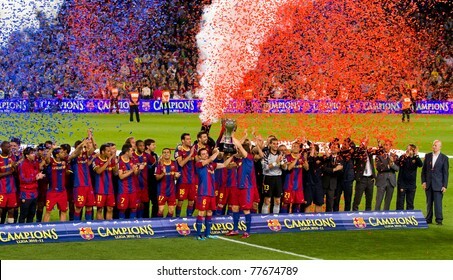 BARCELONA - MAY 15: FC Barcelona players receiving the cup and celebrating the Spanish League Championship victory in Camp Nou stadium, on May 15, 2011 in Barcelona, Spain. 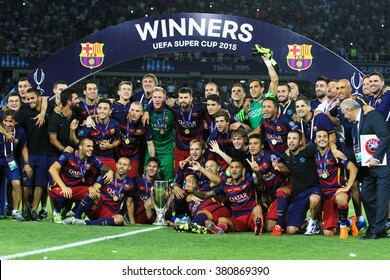 Tbilisi, Georgia - August 11: Group photo of players of FC Barcelona after winning the UEFA Super Cup at the Dinamo Arena on August 11, 2015 in Tbilisi, Georgia. 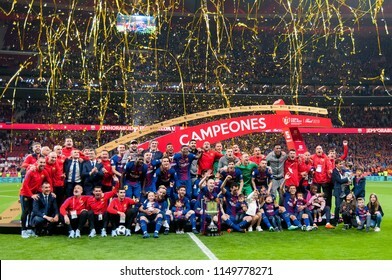 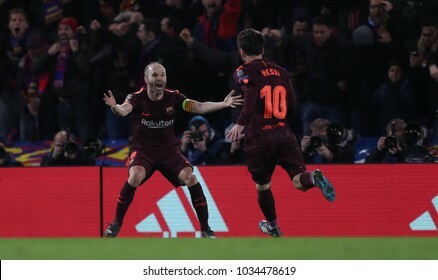 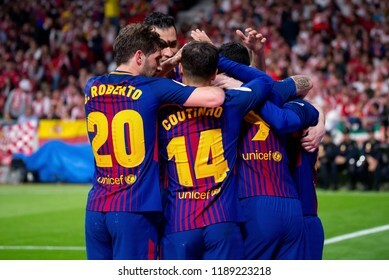 MADRID - APR 21: Barcelona celebrate the title consecution at the Copa del Rey final match between Sevilla FC and FC Barcelona at Wanda Metropolitano Stadium on April 21, 2018 in Madrid, Spain. 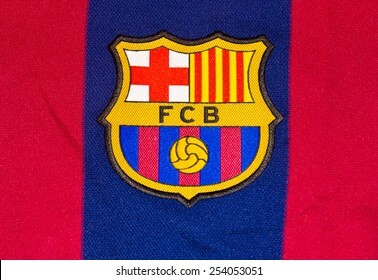 BANGKOK, THAILAND -NOVEMBER 6, 2015: the logo of Barcelona football club on an official jersey on November 6, 2015 in Bangkok Thailand. 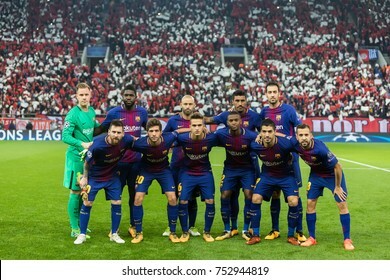 ZAGREB, CROATIA - APRIL 17, 2017. 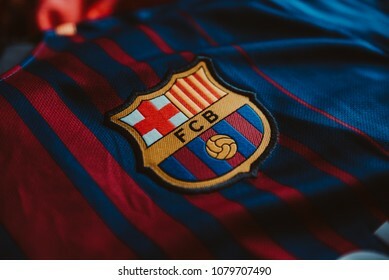 - Spanish football club FC Barcelona emblem on football jersey. 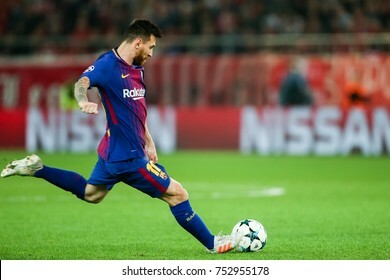 ZAGREB, CROATIA - NOVEMBER 20, 2017. 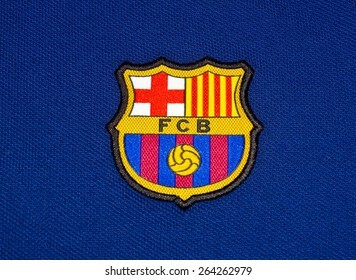 - Spanish football club Barcelona FC emblem on jersey. 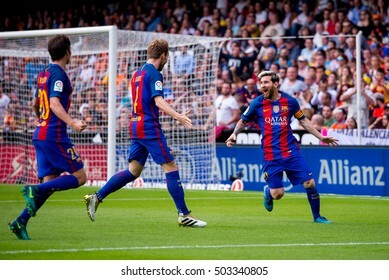 VALENCIA, SPAIN - OCT 22: Lionel Messi (right) celebrates a goal at the La Liga match between Valencia CF and FC Barcelona at Mestalla on October 22, 2016 in Valencia, Spain. 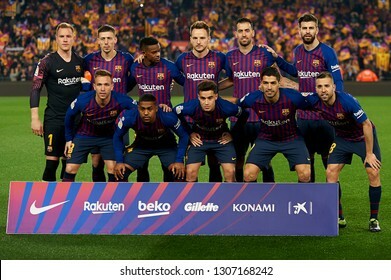 BARCELONA - JANUARY 26: FCB players posing for photos before the Spanish league match between FC Barcelona and Malaga CF, final score 3-0, on January 26, 2014, in Barcelona, Spain. 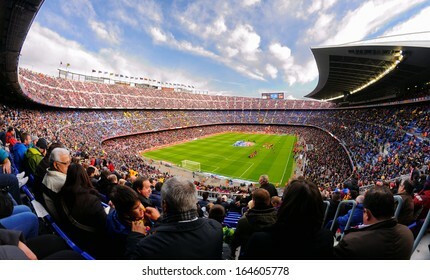 BARCELONA - NOV 23: A general view of the Camp Nou Stadium in the football match between Futbol Club Barcelona and Granada of the Spanish League on November 23, 2013 in Barcelona, Spain. 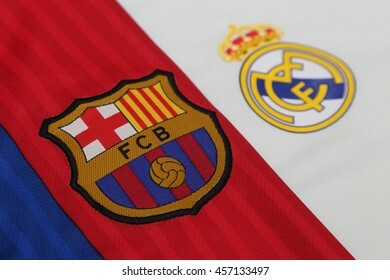 BANGKOK, THAILAND - JULY 24, 2016: The Logo of Barcelona and Real Madrid on Football Jerseys on July 24,2016 in Bangkok Thailand. 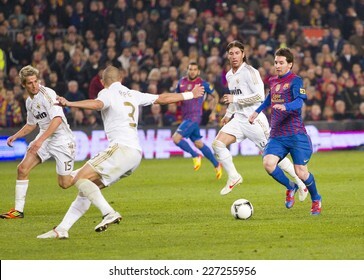 BARCELONA - JANUARY 25: Leo Messi (R) in action at the Spanish Cup match between FC Barcelona and Real Madrid, final score 2 - 2, on January 25, 2012, in Camp Nou, Barcelona, Spain. 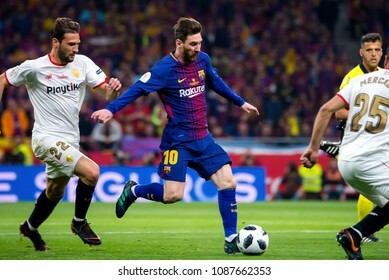 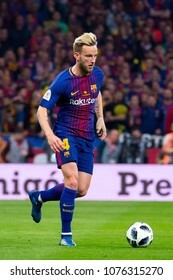 MADRID - APR 21: Rakitic plays at the Copa del Rey final match between Sevilla FC and FC Barcelona at Wanda Metropolitano Stadium on April 21, 2018 in Madrid, Spain. 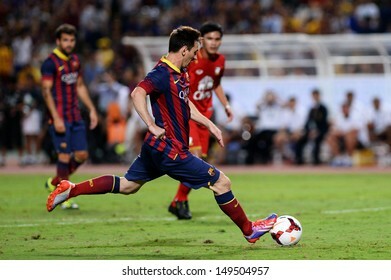 San Jose, Costa Rica - April 29, 2018. 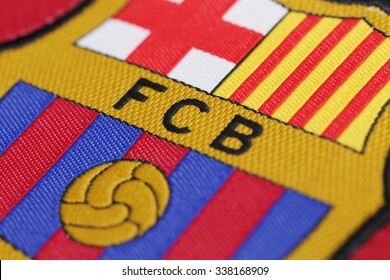 - Shield of the FC Barcelona Spanish football club in Jersey. 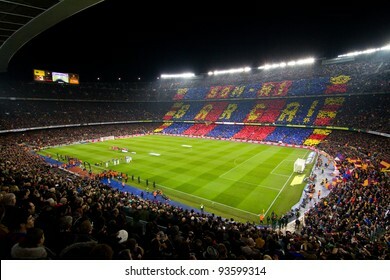 BARCELONA, SPAIN - JANUARY 25: View of Camp Nou stadium before the Spanish Cup match between FC Barcelona and Real Madrid, final score 2 - 2, on January 25, 2012, in Barcelona, Spain. 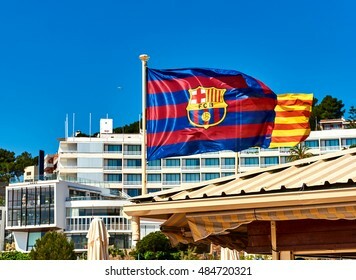 Meer dan 265.208.969 rechtenvrije afbeeldingen met 1.813.827 wekelijks nieuwe stockafbeeldingen.